More Than 16,550 Alumnae, Parents, Faculty, Staff, Students, and Friends Contributed to Drive Wellesley’s Success This Year. A long history of giving back has defined Wellesley as an institution whose alumnae understand the importance of supporting one another and the place that unites them—with money, with time, and in countless other ways. 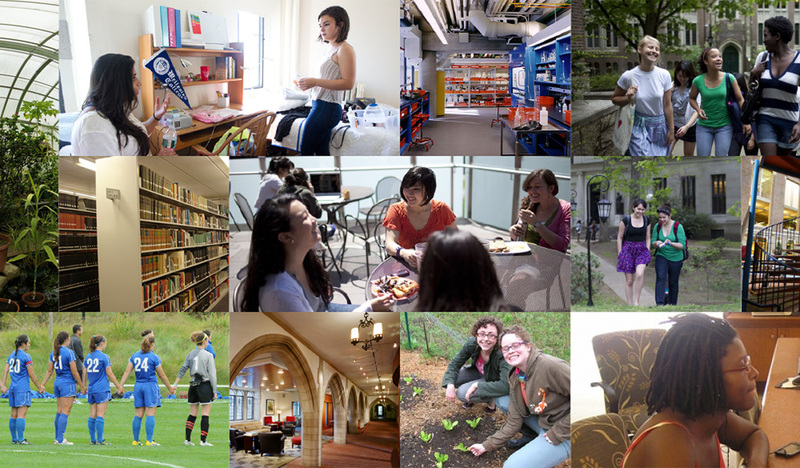 With the broad view cultivated by a distinctive liberal arts education, Wellesley women seem to have a keen understanding and appreciation of the role the College has played and may continue to play in their lives. Alumnae participation in fiscal year 2015 reached 50 percent—a substantial point of pride! Participation in itself is important because it sends a clear signal to prospective students and faculty that we have a committed alumnae network—and of course, it means the College has more resources to put toward its mission: educating women who will make a difference in the world. Every gift, no matter how modest, has an impact. Last year, more than 13,600 gifts of $100 or less provided Wellesley with $691,516. Here are some examples of these gifts in action: a $10 gift might provide art supplies for a Book Arts workshop, a pair of laboratory safety goggles, or an hour of peer tutoring; a $25 gift might provide orientation materials for students starting their theses, a biology lab pipette or a warm-up shirt for a varsity basketball player; and a $100 gift might provide one scholarly ebook for the library, an orchid for the Botanic Gardens’ collection, or one set of glassware for the Science Center chemistry lab. Approximately 20 percent of the more than $52 million raised by the Office for Resources last year went directly to supporting unmet financial aid needs and the immediate annual needs of Wellesley students and faculty. In addition to unrestricted gifts and those for financial aid, Wellesley received many wonderful gifts to support particular programs and purposes. Student internship opportunities, for example, are often funded by individual donors; you can read about Wellesley students’ life-changing experiences from Georgia to Venice, and from Puerto Rico to Prague, just to name a few from this summer. The same is true for student summer research conducted at Wellesley. Wellesley College is an amazingly vibrant place, its deep history and iconic surroundings providing a foundation for discovery, innovation, understanding, and sustainable growth–and it is all thanks to the generosity of those who see the profound value of the College and the effect its alumnae have on the world. Want to learn more about how your support makes a difference at Wellesley? Read about Your Dollars at Work.